Jillian's 2nd birthday party was a Minnie Mouse-palooza! 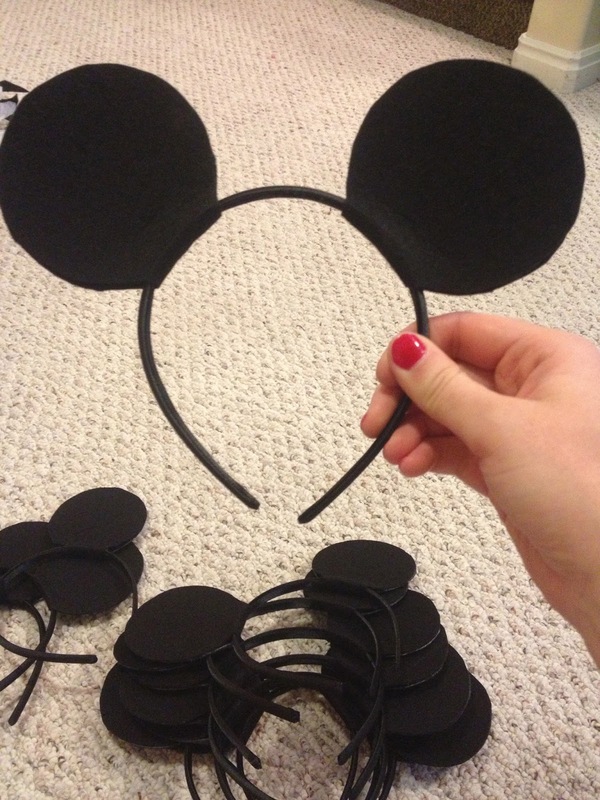 There were Minnie and Mickey Mouse ears for everyone...naturally. I decided to make them because they were WAY too expensive to buy (like $6-$8 a pair), and the cheap ones at the party store were..well, cheap. So this was a good alternative. They were about $1.50 each to make. 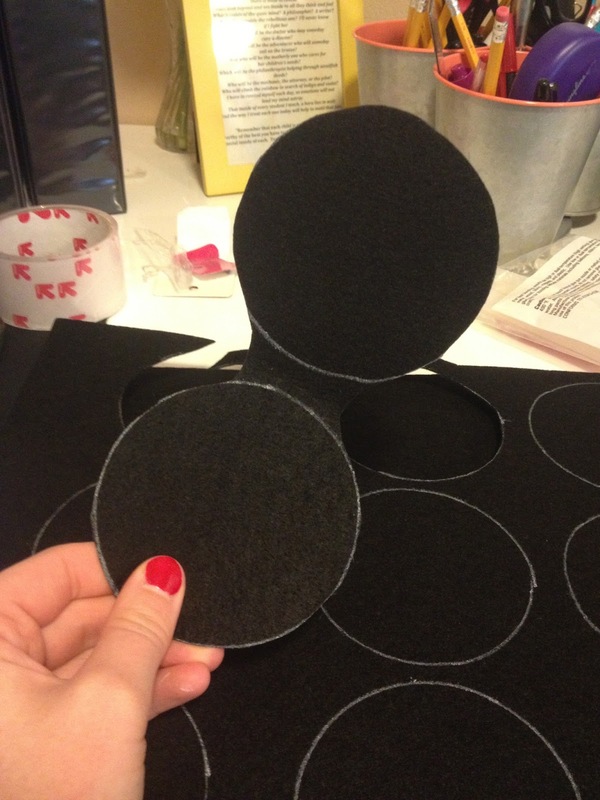 Trace your round object on the black stiff felt using the white paint pen. 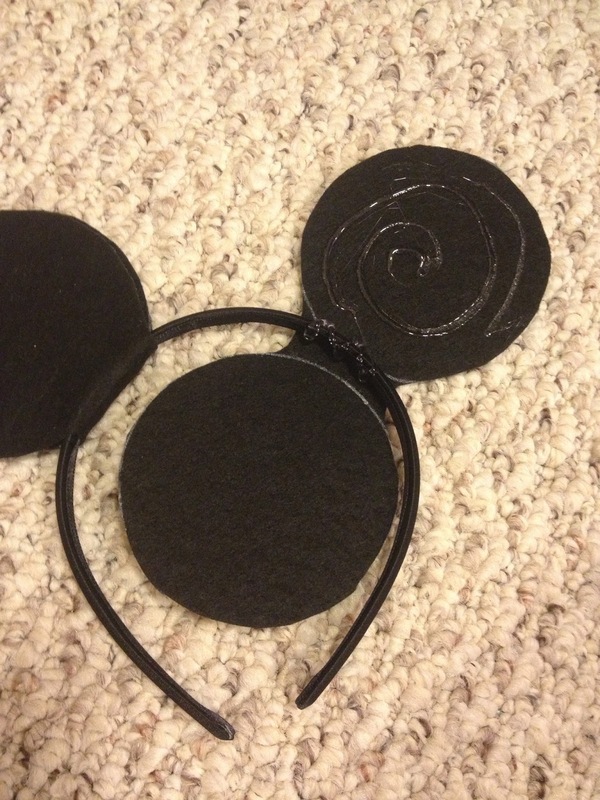 I was able to get enough circles for 6 headbands on 1 felt sheet using my half-used tape roll. Place the headband in that space where you cut the two circles out. Make a design with your hot glue, then fold those two babies together. Once they are glued, trim off any places where the circles don't match up exactly. 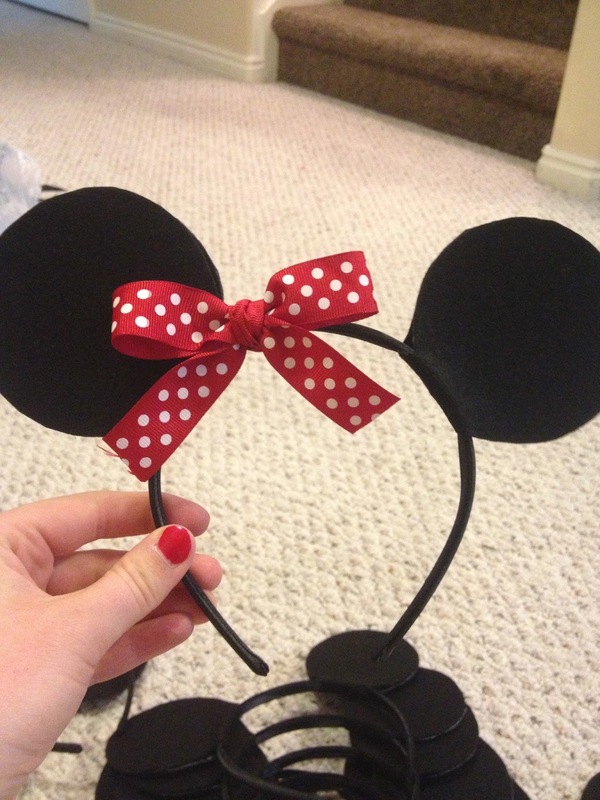 Add a bow to make them into Minnie (instead of Mickey) ears! 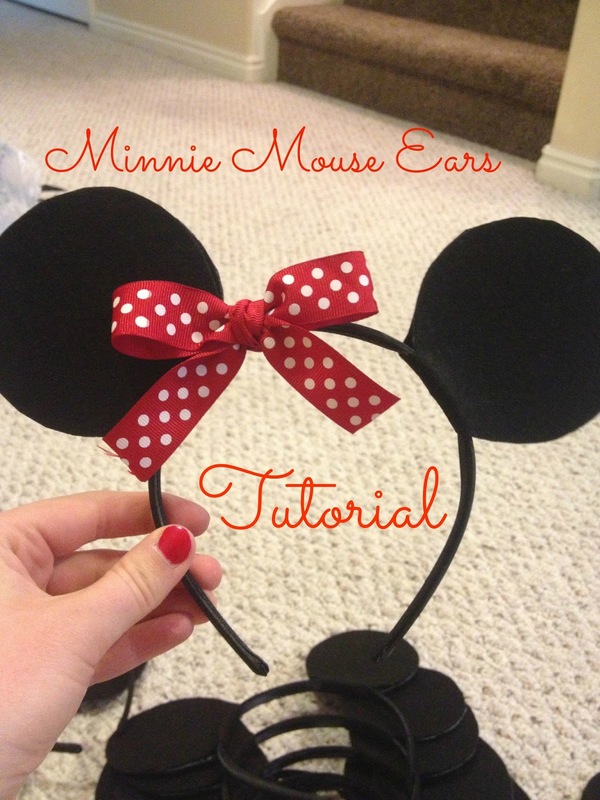 Check out the other Minnie Mouse party related posts below!